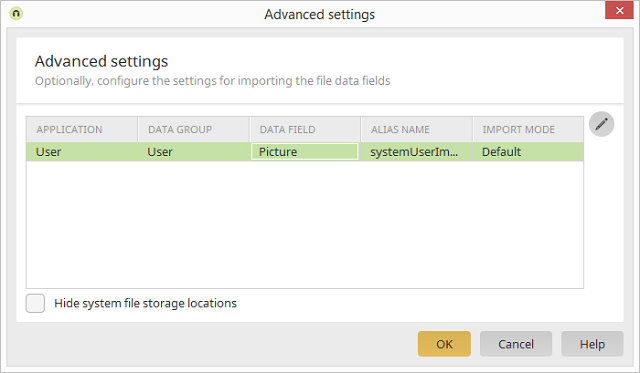 Displays the applications, data groups and data fields to which the file storage location is connected. Once the file storage location has been imported successfully, it will entered under this name in the Integration module. Displays the import mode for the currently selected file storage location. Opens a dialog where the advanced settings for the import can be edited. Only displays the user-defined file storage locations.